Zillow is the site people visit to see how much their home (or their neighbor's) is worth. But the company is not content only serving real estate voyeurs. 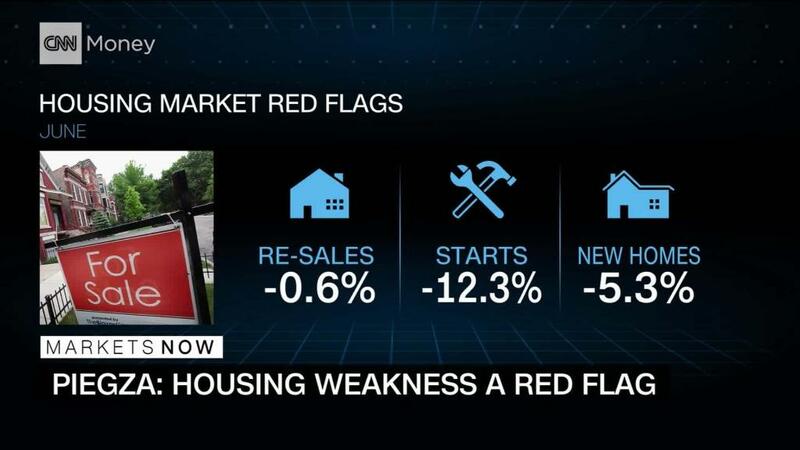 It wants a bigger piece of the housing market pie. Investors, however, are not pleased. Shares of Zillow (Z) plunged nearly 20% Tuesday after it announced a plan to buy Mortgage Lenders of America, a home loan bank based in Kansas. Zillow also reported earnings and disappointed investors with its revenue outlook late Monday. The bank deal is not the first move from Zillow into home buying. The company announced in April that it was looking to purchase and flip homes near Phoenix and Las Vegas. But the purchase of Mortgage Lenders of America will help Zillow originate and underwrite loans for homebuyers, a lucrative market that is currently dominated by big banks. "We expect to be operating a larger and stronger business that is integrated into the consumer's entire home life cycle," said CEO Spencer Raskoff during a conference call with analysts Monday. Analysts are concerned by the aggressive push into the mortgage business. "There are more questions than answers at this point," said Brent Thill of Jefferies. He said the company "tripped over its own shoelaces out of the gate" with the mortgage move. Bank of America analyst Nat Schindler downgraded Zillow's stock Tuesday because of "greater concerns" about the push into mortgage lending. Nonetheless, Raskoff seems convinced that Zillow has to become a bigger part of the housing market. "These are all large and expanding markets in which we will now be active participants, not simply a place to advertise," Raskoff added. The timing of the move could be adding to concerns from investors. Mortgage rates have been creeping higher lately and should continue to go up. The Federal Reserve currently plans to raise interest rates two more times this year and several more times in 2019. That has led to some fears that the housing market may be close to peaking. Investors have shunned most housing related stocks this year. The SPDR S&P Homebuilders (XHB) exchange-traded fund, which owns shares of big builders like Lennar (LEN), retailers like Home Depot (HD) and Williams-Sonoma (WSM) and appliance maker Whirlpool (WHR), is down nearly 10% so far in 2018.